Bute County Cricket Club's 2015 fixture booklet. Bute County Cricket Club’s 2015 fixture booklet has been published this week. The club’s fixture list for the new Western District Cricket Union season was unveiled in March, but the new booklet also includes a message of support from the club’s first associate member, former Sri Lankan captain Kumar Sangakkara, and a potted history of the club. 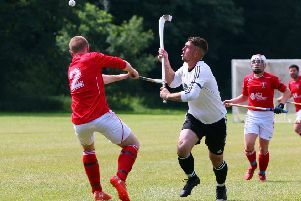 Bute are due to play a pre-season friendly at home to Inverclyde this Saturday, April 25; their first WDCU third division fixture is against Clydesdale Cricket Club’s Cavaliers at Auldhouse on Saturday, May 2.